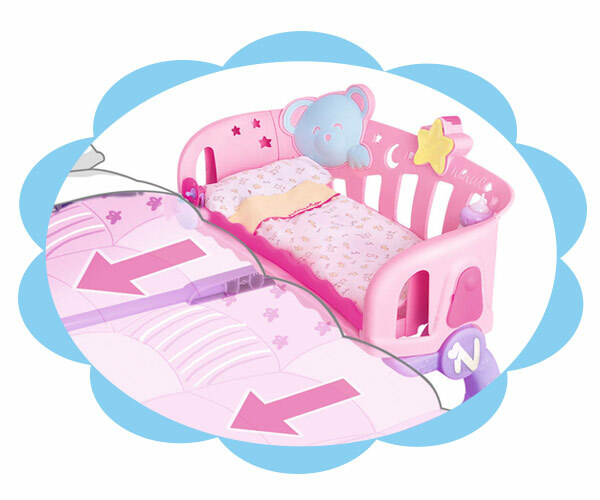 This adorable and unique playset includes a cradle that can attach to your bed so your baby can sleep with you. You can keep your doll close and safe with you all night long. 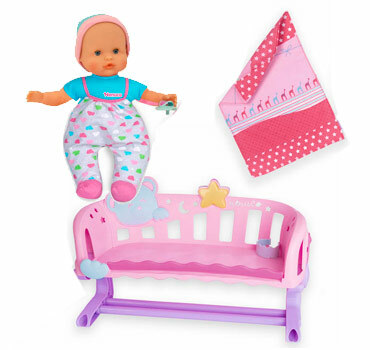 Includes a soft bodied 14″ doll, star nightlight, blanket, and pacifier. 2 Ways to Play: stand alone Cradle or Attaches to Bed. So cute! Have sweet dreams with your precious baby by your side. A great gift set!